Tired of spending your free time mowing? Wish you could have a perfectly manicured lawn all year round? We’ve got you covered—schedule our commercial or residential lawn mowing services. From mowing to edging to trimming to clean up, when you partner with Royal Estates Lawn & Landscape, you can count on our skilled staff. For over 10 years, we have been in the lawn mowing business, and we now feel confident in saying we guarantee your satisfaction. 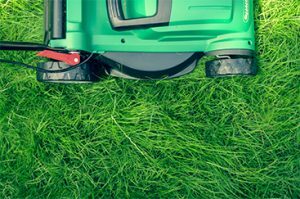 Contact us today to schedule an appointment or to learn more about our mowing services. We are a locally owned lawn care company committed to providing southern Louisiana with superior landscaping and lawn care services. Not only do we have the experience, expertise, and equipment to promptly and routinely mow your lawn, but we also go above and beyond to ensure that your lawn looks pristine and that you are 100% satisfied with our work. Whether you need your lawn mowed monthly, biweekly, weekly, or every other day, we can work with you to come up with a schedule that makes sense for you and the health of your landscape. Once this schedule is in place, you can count on us—we work like clockwork. In addition to handling all of your lawn mowing, we can also serve as your trusted full-service lawn care company, providing landscaping, mulching, pruning, lawn maintenance, seasonal maintenance, bush hogging, and more! Have questions about our lawn mowing services? Want to schedule an appointment? Drop us a Line or give us a call at 225-217-6792.